Back for the fourth consecutive year, 2018 BRIC JazzFest will be held on Saturday October 13 at The Plaza at 300 Ashland. 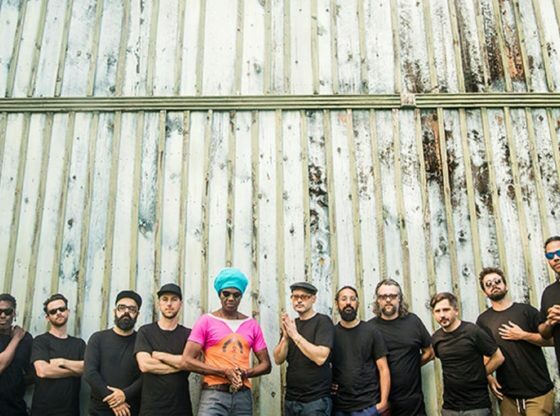 Antibalas is well known for “re-popularizing Femi Kuti’s classic Afrobeat sound while adding their distinct Brooklyn grit and spirit of improvisation to the mix. Antibalas celebrates their 20th anniversary this year. They “performed an unforgettable show for 6,000 attendees at the BRIC Celebrate Brooklyn! Festival last July, and their BRIC JazzFest kick-off concert promises to be an equally outstanding hometown show for the band at Downtown Brookyn’s newest outdoor gathering space. The JazzFest is free with RSVP.